Whether you are shopping swimming pool covers for the first time or you need to replace an old and damaged cover, we have just the selection you need. Do you have a swimming pool, but you don’t have a safety cover? Are you unsure about when and why you should use swimming pool covers, so you haven’t yet made a purchase? At Cayman Pool & Spa, we know that swimming pool covers offer a variety of benefits to homeowners who have invested in owning a swimming pool. 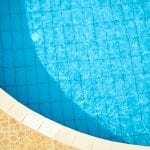 Whether you are shopping swimming pool covers for the first time or you need to replace an old and damaged cover, we have just the selection you need. Improved Safety – Most importantly, swimming pool covers are a designed as a safety feature. Especially if you have little ones at home, keeping a pool cover on while your pool is not in use could prevent an accident. Conserve Water – Swimming pool covers are also a great way to ensure that the water that is in your swimming pool stays in your swimming pool. Swimming pool covers are a great way to conserve water, so you don’t have to fill up your pool as often. Reduce Cleaning Time – Getting out leaves and debris can be a hassle and time-consuming if you are a pool owner. Swimming pool covers keep your pool protected during those inclement weather events that might otherwise put your pool at risk. If you have questions about swimming pool covers or how to choose the best one for your pool, come by or give us a call at Cayman Pool & Spa. With two convenient locations in Concord and Mooresville, North Carolina, we have everything you need to keep your pool in great shape all year long! At Cayman Pool & Spa, we sell swimming pool covers to residents of Mooresville, Concord, Cornelius, Davidson, Harrisburg, Huntersville, Kannapolis, Statesville, Troutman, and the Lake Norman area of North Carolina.